New UK indie-pop artist Joseph Thompson is back with another new single today on all streaming/download platforms. The woozy alt-pop of ‘It’s Gonna Be Fine’ offers up synth hooks next to 80’s influenced indie guitar sounds and asks questions about the influence of celebrity idols and stars. “ It’s Gonna Be Fine is about how disingenuous I find it when successful artists, actors and celebrities tell their fans a vague message of inspiration like ‘follow your dreams, you’ll make it’, or ‘it’s gonna be fine’”, explains Thompson. “These people come from such a fortunate place living the life they want to lead, and yet they turn around to their fans – many of whom will not be having the best time of it – and tell them how great everything is going to be, and how if they made it, anyone can make it. 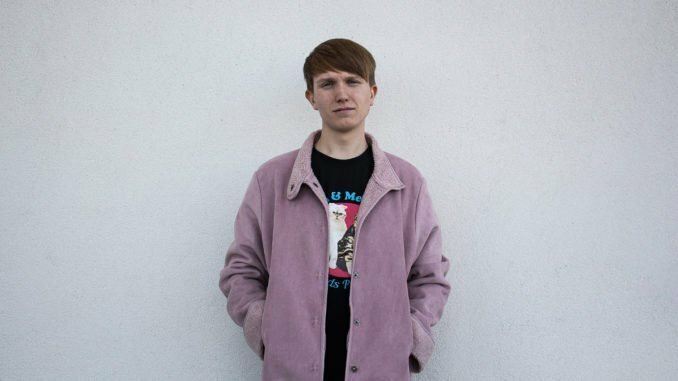 Joseph Thompson blends the upbeat, joyous energy of synth-pop choruses with emotionally charged lyrics, tackling all topics from Post-Brexit Britain to mental health. Avoiding the clichés and easy avenues of laddish indie-rock and mainstream pop, Thompson takes a defiantly personal approach to his songwriting with the aim of creating an authentic connection with his young and growing audience. Find Joseph Thompson at facebook.com/josephthompsonmusic , instagram.com/joseph.th0mpson and twitter.com/josephth0mpson now.